If religion helps a man to rise from the human level to the divine level, dharma (righteousness, a universal value- system) elevates him from the brute level to the human level. It helps him to live a socially useful life and, consequently, achieve happiness and peace in his personal life too. Realising this, our rsis of yore who discovered this dharma, not only practised it in their own life but also vigorously propagated it. When Dadhici gave up his life to help the gods against the demons or when Vibhisana gave up his all to join Rama, they were showing that no sacrifice was too great in defence of dharma. When his brahmadanda quietly devoured all the missiles discharged by Visvamitra, Vasistha was actually exhibiting the tremendous power of dharma against adharma. Starting with a skeletal concept in the Rgveda, dharma has grown into a gigantic structure with numerous branches and sub-branches, in the dharmasastra literature. This was not only necessary but also inevitable in the evolution of a dynamic social structure. While the 'acara' part of it took care to concentrate on the development of a stron personal character in the individual, the 'vyavahara' part contributed much to social stability by subordinating the individual's freedom to social security and welfare. The 'prayascitta' part provided the remedial measures for transgressions. All these were done quietly and unostentatiously by the author of the dharmasastras who lived a life of austerity, but acquired and spread knowledge profusely. It goes to their credit that, even against many odds (including great risks to their own lives) they laboured hard and succeeded in keeping the Hindu society intact, preventing it from disintegration and chaos. Thanks to the so-called 'modern' education (which is actually antiquated and obsolete from the standpoint of dharma, the eternal value of life) many in our country are totally ignorant of the great contribution of these pioneers and propagators of dharma in all its aspects. Nor do they have even an elementary idea of the necessity of, or, the importance of dharma in one's life. This has resulted in the completely wrong notion that dharma has no place in a Secular State though it is the denominational or dogmatic religions that should be kept out of the general socio- political set-up! Again, there is no need to rail against any of the books of the books of the dharmasastras or vent one's anger against them in public, since none of their authors has claimed absolute or eternal jurisdiction for their eules! They have openly admitted that a society is always free to accept, to amend or even totally reject their their views. When a civilised society prepares and propagators of dharma in all its aspects. Nor do they have even an elementary idea of the necessity of, or, the importance of dharma in one’s life. This has resulted in the completely wrong notion that dharma has no place in Secular though it is the denominational or dogmatic religions that should be kept out of the general socio-political set-up! Again, there is no need to rail against any of the books of the dharmasastras or vent one’s against them in public, since none of their authors has claimed absolute or eternal or universal jurisdiction for their rules! They have openly admitted that a society is always free to accept, to amend or even totally reject their views. When a civilised society prepares and promulgates a new constitution for itself, it does not tear off or burn the old constitution! It may perhaps keep it as a negative reference book so that old mistakes are not repeated! This booklet on the dharmasastras is aimed at giving a panoramic view of the concept and development of dharma as applied to individual and social life over the centuries. If it can be looked upon as a useful addition to our continuing education in Hinduism, the writer will feel education in Hinduism, the will feel rewarded. The concept of dharma and its application to the various aspects of life is of fundamental importance in Hinduism. The concept itself has undergone several changes over the centuries. As derived from the root ‘dhr’ (to support, to sustain’), the most general meaning of the world ‘dharma’ is ‘that which supports and sustains’ Gradually it came to acquire several senses such as-ordinance, usage, duty, right, justice, morality, virtue, religion, good works, function or characteristic. However, the sense of ‘duties and responsibilities based on some fundamental moral virtues’ became most widely accepted. The Vedas being the primary scriptures of Hinduism naturally get the pride of place as the definer and the source of place as the definer and the source of dharma. But, with the growth of the human society and the consequent problems it had to face, there arose a great need to expand the scope of and to delve deeper into, the concept itself. 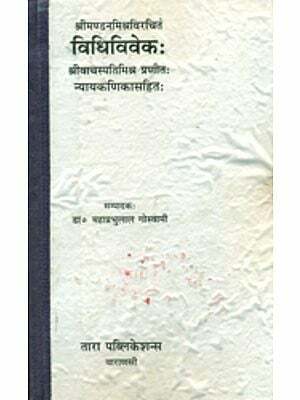 It is this that gave rise to the composition of the later works, now included under the comprehensive term ‘dharmasastras’. According to all these works, the sources of dharma are: the Vedas; the smrtis; the teachings and conduct of persons who are well-versed in the scriptures and are of well-versed in the scriptures and are of unblemished character; one’s own conscience. Though the Vedas do not have positive precepts on matters of dharma-concerning personal conduct and social regulations as understood and defined by the later works-they do contain incidental references to various topics that fall under the domain of the dharmasastras. There are at least 50 passages in the Vedas that shed light on the of marriage, different kinds of sons, adoption of a son, partition, inheritance, sraddha ceremony and stridhana or property that should rightfully accrue to women. All these topics have been dealt with in much greater detail in the dharmasastras. 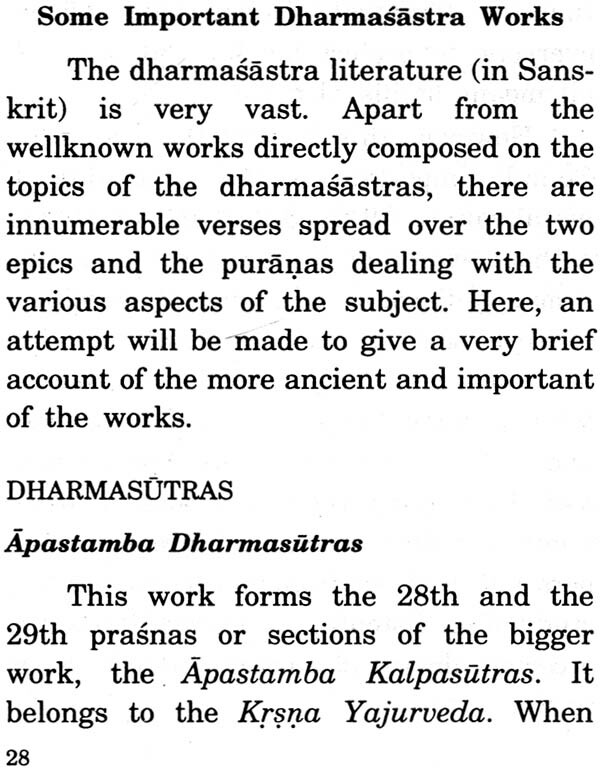 The first stage in the evolution of the dharmasastras is met with in the Vedanga (‘limb of the Veda’ or a subsidiary of the Veda) called ‘kalpasutras.’ Kalpa’ means procedure, the ‘how of a thing. 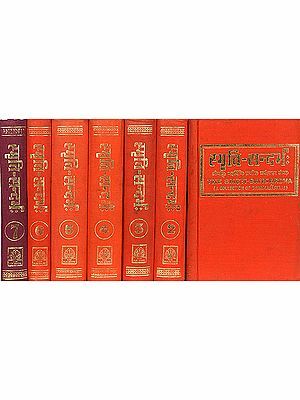 The kalpasutras comprise four sections: (1) Srautasutras; (2) grhyasutras; (3) dharmasutras and (4) sulbasutras. The first and the last are directly concerned with Vedic sacrifices. Whereas the grhyasutras deal with the rites and ceremonies to be performed by a householder in his house (grha=house), the dharmasutras are concerned with the more general and social aspects of dharma, the conduct of human beings as members of a society, of a community. However, these two are interconnected and even interdependent. 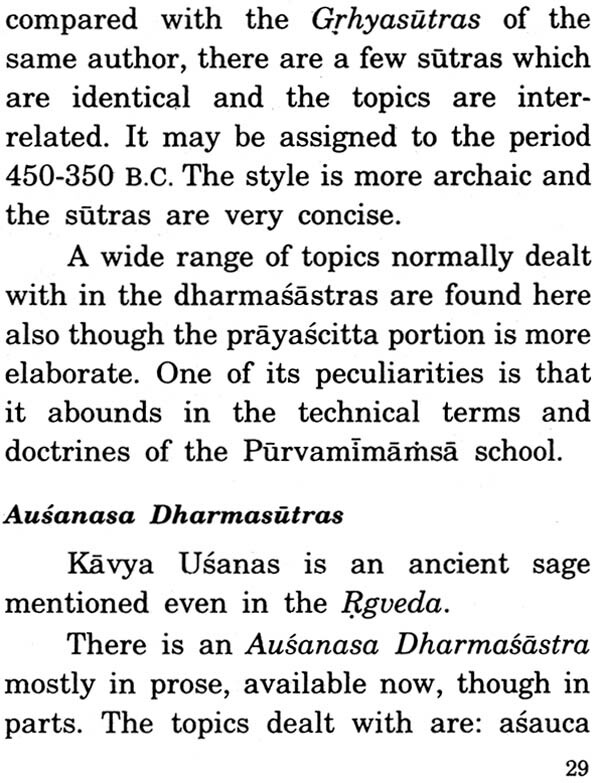 In the grhyasutras and the dharmasutras, the language is archaic and the delineation of the subjects is not very systematic. 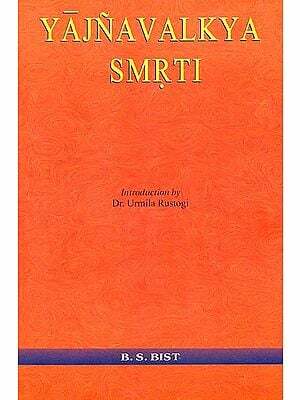 Hence the need arose for the composition of another class of works, now wellknown as ‘smrtis’, written in a more intelligible language and mostly in poetical verses, to facilitate easy remembrance. Quite a few of these smrtis are now available in print. Though the dharmasutras in general, are more ancient than the metrical smrtis, it is equally possible that some from the latter group like the Manusmrti, are as old as the former or even older. At least, the core-content could be so. As the implementation of the rules of conduct in the society progressed, problems, including differences of opinion must have cropped up. 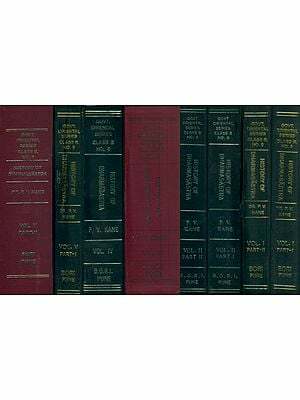 Hence, commentaries on these works, attempting to expand the ideas given there or clear the doubts and anomalies, were written by competent scholars, thus enriching the whole field of dharmasastra literature. As the number of such compositions increased, it became necessary to produce ready-reference material, containing abstracts, surveys and reviews, of all the matter available on that subject. 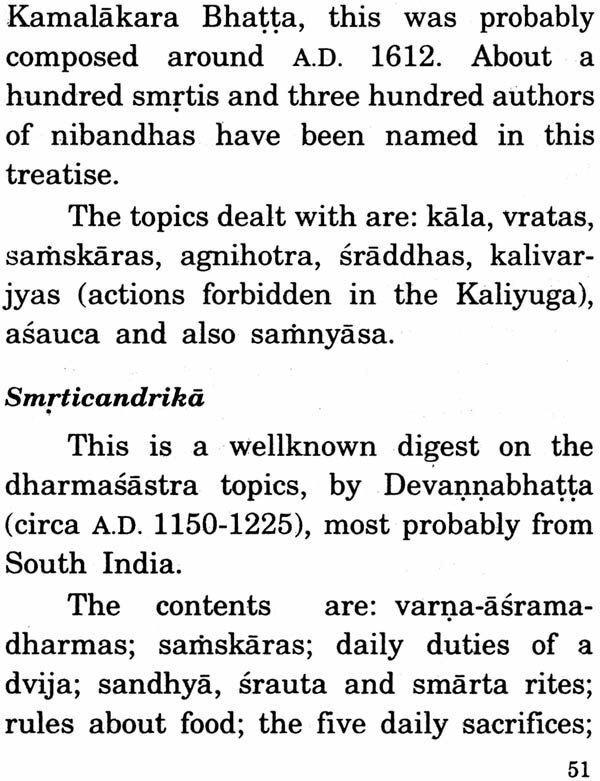 This gave rise to another class of works known as ‘nibandhas’ or digests. The two epics-the Ramayana and the Mahabharata-as also many of the puranas contain a lot of material that should normally be the concern of the dharmasastras. The nibandhas, naturally, have made good use of this material at the appropriate places. 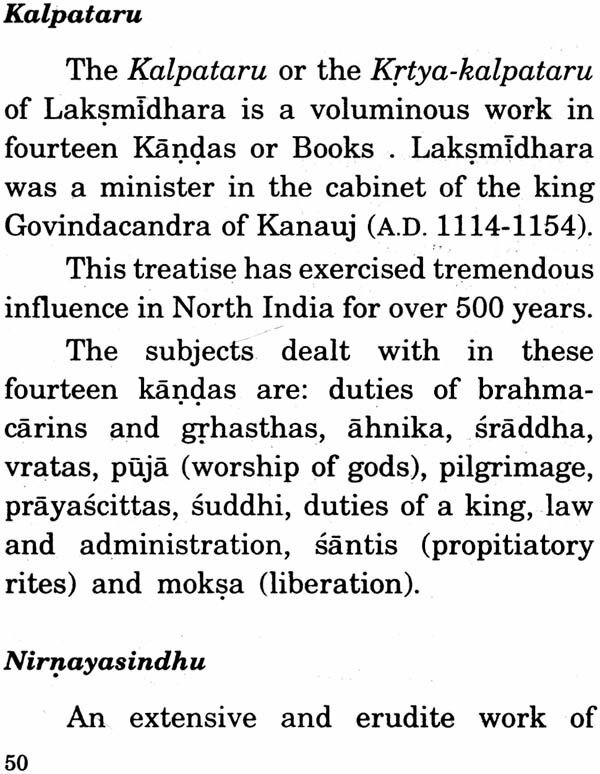 Hence any standard work on the dharmasastras should avail of all the relevant stuff provided by these various sources.